With the start of Lent, you may be getting ready to give up meat on Fridays until Easter. While this may not sound complicated, it can be a challenge for busy families if you're not prepared with some crowd-pleasing meat-free recipes. Don't fret, though—just bookmark this collection of hearty lent-friendly meals that are so good, you'll want to cook them year-round. Enjoy a warming bowl of hearty chowder for dinner, served with crusty bread for dipping. 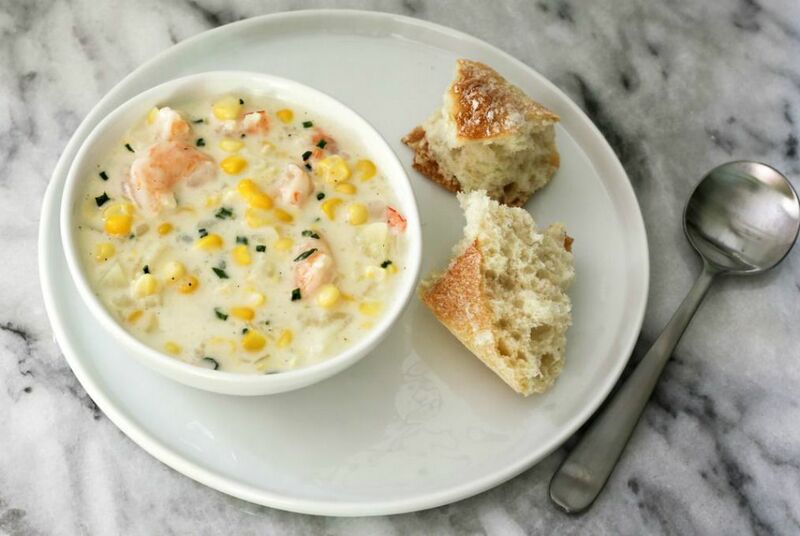 This creamy seafood stew is loaded with corn, potatoes, shrimp, and scallops, but you could also substitute in real or imitation crab or lobster. While nutty-tasting farro is wheat and not rice, it has the proper texture to make a nice risotto and actually saves you some stirring. This rich and earthy recipe combines the healthy grain with wild mushrooms, shallots, garlic, parsley, and Parmesan cheese. Fish tacos are a family favorite that you'll want to add to your weekday meal rotation even after Lent is over. You use canned fish for these easy, 10-minute tuna tacos, making it an excellent recipe for busy days, a quick lunch, or a lighter dinner. Enjoy the bright, green flavor of seasonal asparagus in this creamy pasta dinner that comes together in less than 30 minutes. Ricotta cheese adds richness to the dish with lemon juice and zest adding zing. Parmesan and black pepper are also added before serving for a restaurant-style presentation. Make Friday breakfasts during Lent something to get excited about with these easy vegetarian burritos. 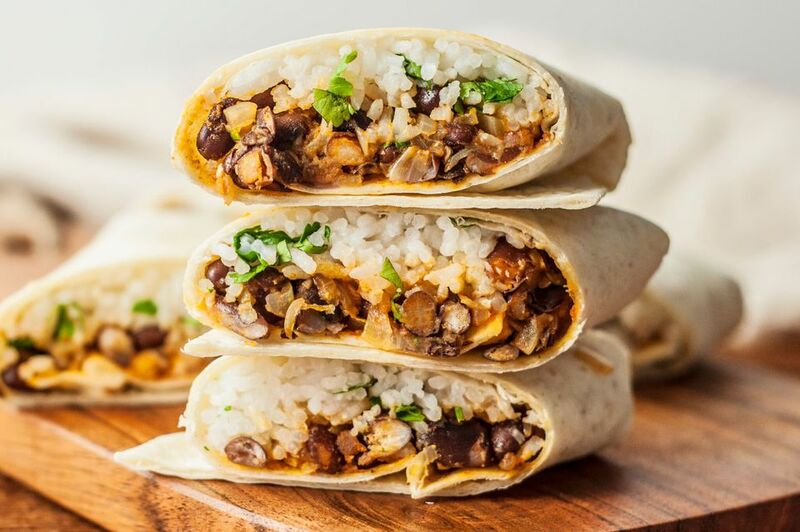 All you need is some leftover rice, a can of beans, and a few Mexican spices to make tasty breakfast wraps that give you plenty of energy. Cauliflower fried rice is a nutritious homemade alternative to take-out food during Lent and a great choice when you're craving a satisfying meatless meal. Prep all your ingredients for the stir-fry ahead of time for a tasty dish that comes together quickly in the pan. Skip the pizza delivery and try this savory homemade vegetarian mushroom pie instead. It's simple to prepare with store-bought dough and has an awesome depth of flavor from sauteed chopped mushrooms and roasted garlic. Parmesan cheese and a little snipped fresh mint are knockout finishing touches. Adults and kids alike will rave about this amazing grilled cheese. With only three ingredients, it may just be the best melted cheese sandwich ever and is the perfect meat-free choice for Lent Friday lunches. When guests are coming for dinner during Lent and time is short, this delicious recipe will save the day. Simple yet elegant, the lemon garlic shrimp with rice cooks in only 15 minutes and requires just a handful of ingredients, but tastes special enough to impress company. Crockpot lentil soup is a fabulous lunchtime recipe for those drizzly spring days when you need something to warm up stomachs. The filling, comforting vegetarian soup is also inexpensive, full of protein, and simple to prepare using your trusty slow cooker. Tuna melts are a kid-friendly sandwich that come together easily for a hot lunch that is ready in 20 minutes. English muffins loaded up with tuna salad are covered with sliced cheddar cheese and tomato for a quick trip under your oven's broiler. Your family will cheer when you serve fish and chips for dinner! Use your favorite fillets for this tasty battered fish dish that comes with easy homemade potato wedges. Serve with lemons, tartar sauce, and coleslaw on the side. Halibut has a firm, substantial texture that makes it a good substitute for meat. This tasty main dish uses Asian ingredients to flavor fresh or frozen fish fillets for a meal that cooks quickly under your broiler. Be sure to allow time for marinating the fish so the flavors can develop. These pan-fried burgers use canned salmon from your pantry, making this an easy recipe you can enjoy year round. Well-flavored homemade fish patties make a satisfying pub-style lunch or dinner when served on soft fluffy rolls or burger buns. Your search for the ultimate macaroni and cheese just ended. This crowd-pleasing recipe with an irresistible homemade sauce gets fantastic texture from a buttered breadcrumb topping. Ideas for variations are included too, so you can tweak it according to your family's tastes. This nutritious dinner is a wonderful way to enjoy the mild, delicate flavor of tilapia. Fish fillets are flavored with butter, lemon and herbs, and baked in the oven, for a tasty entree that is ready in just 30 minutes. It makes a great family meal along with steamed vegetables and some hot cooked rice or a baked potato. Lasagna packed with plenty of veggies, cheese, and a creamy sauce is so satisfying, you won't care there's no meat. Fresh chopped vegetables are layered with a seasoned mixture of ricotta, mozzarella cheese, and a simple Alfredo-style sauce with Parmesan cheese. Craving the taste and texture of meat on Fridays during Lent? Vegan and vegetarian chili made with ground beef substitute plus hearty beans, will keep you satisfied until Easter arrives. Plus, it's baked with a delicious cornbread topping for a mouth-watering finished dish your family will love. Hearty pizza-style spaghetti pie is sure to become a favorite recipe in your family. What's not to like—with all your favorite pizza ingredients cooked into a "pie" with tender noodles? Skip the pepperoni during Lent and add any fresh chopped veggies from your fridge to boost the nutrition content.